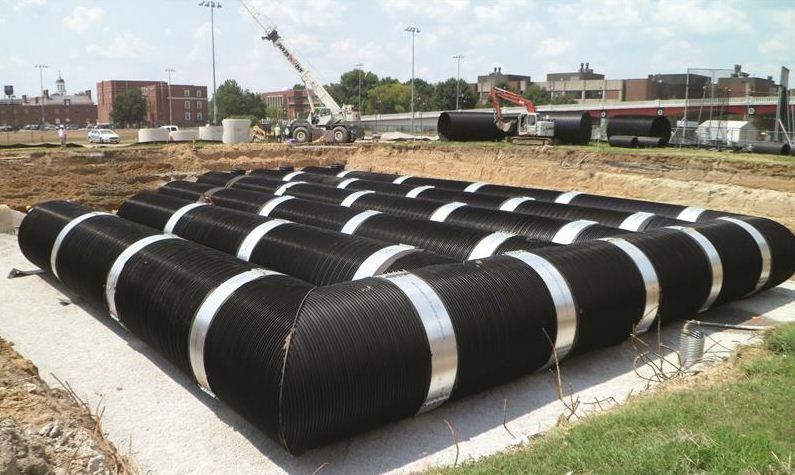 Eighty (80) ksi steel reinforcing (SR) provides the strength; pressure rated polyethylene (PE) resin provides the durability. 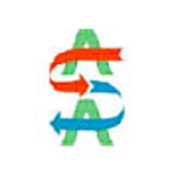 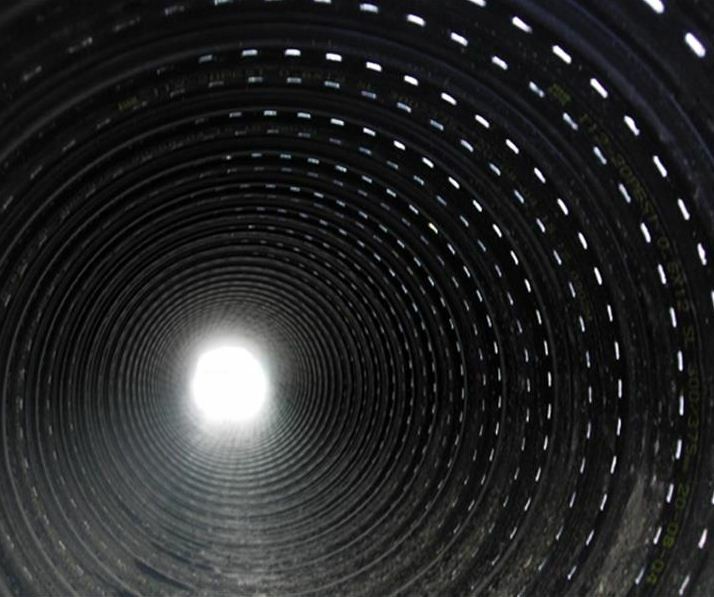 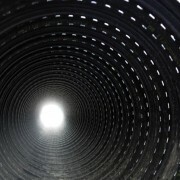 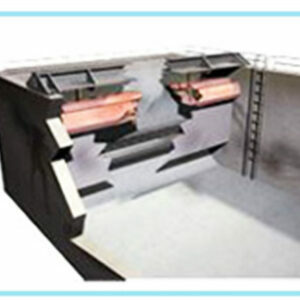 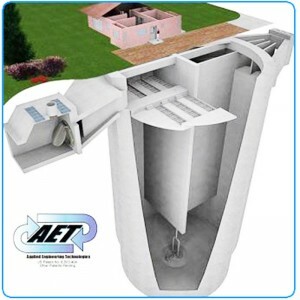 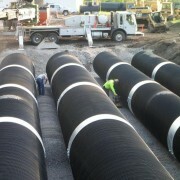 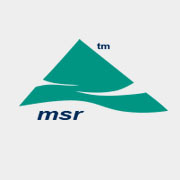 The combination of materials results in an extraordinarily strong and durable pipe that sets a new industry standard. 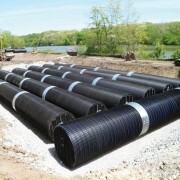 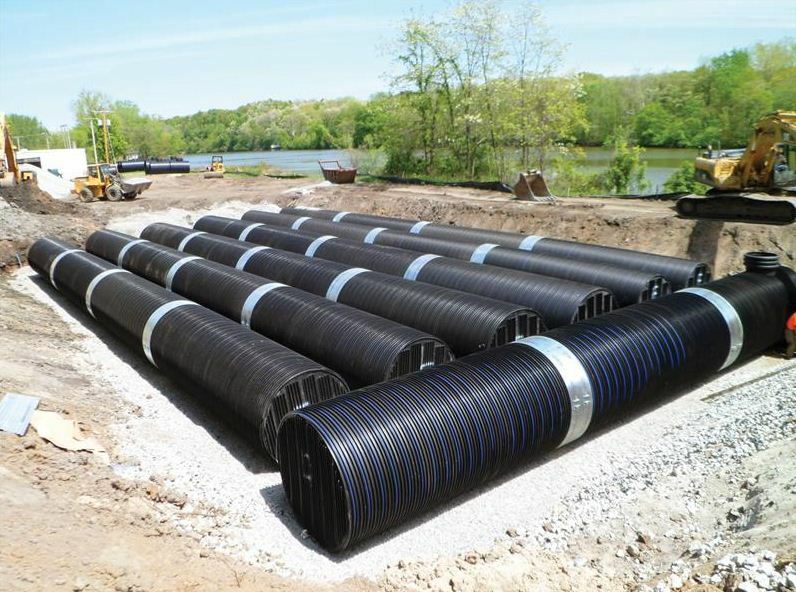 DuroMaxx provides the lightweight, low-cost structural advantages of traditional HDPE with none of the disadvantages. 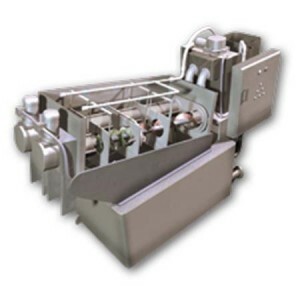 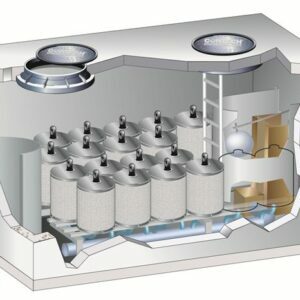 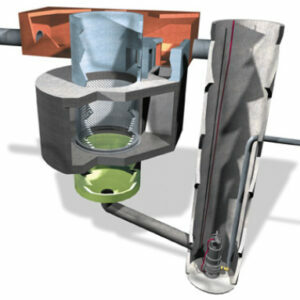 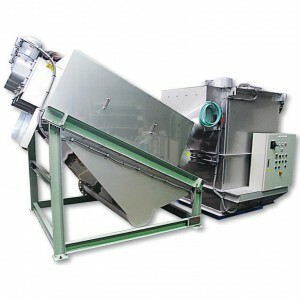 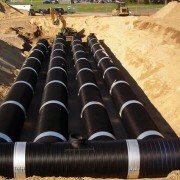 It can be made water tight, and can be used in applications with corrosive soils. 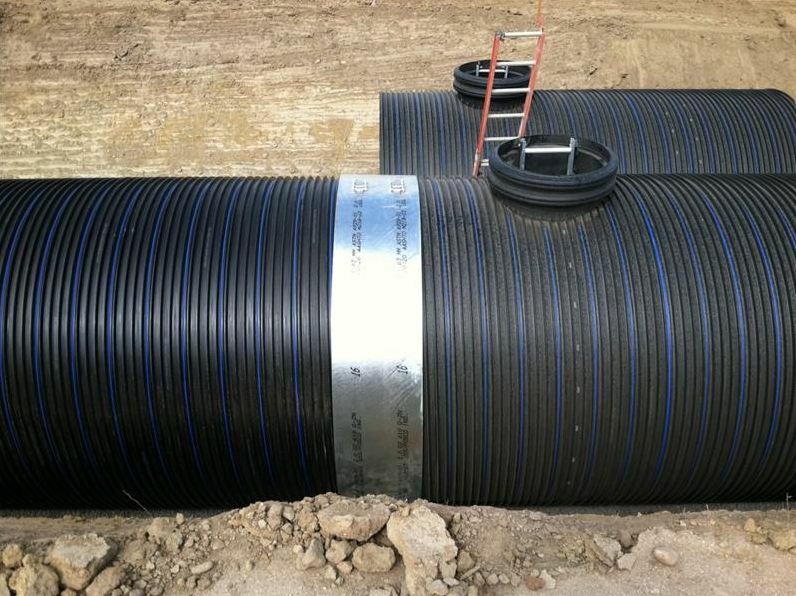 DuroMaxx is available in diameters ranging from 30 to 120 inches and manufactured in standard lengths of 14 or 24 feet. 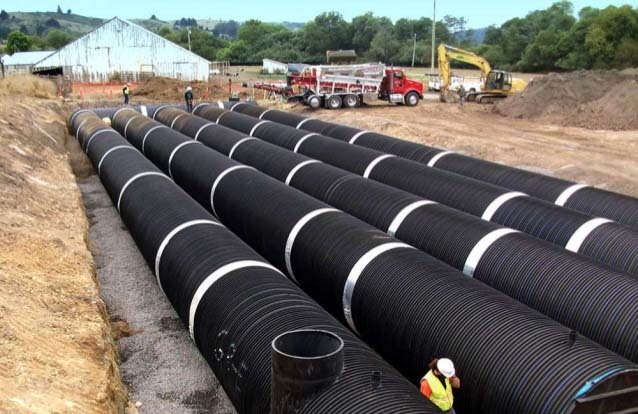 Larger diameter pipe increases storage volume while long pipe sections reduce the number of units to be set and joints to assemble. 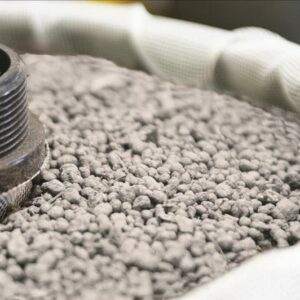 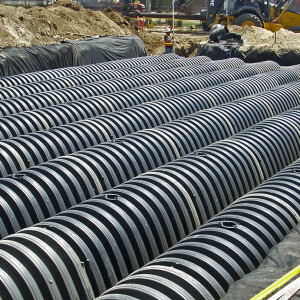 DuroMaxx can be made water tight, and can be used in applications with corrosive soils. 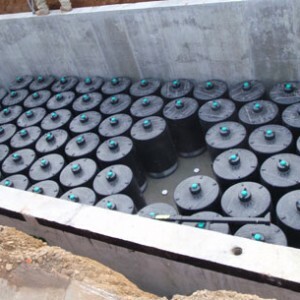 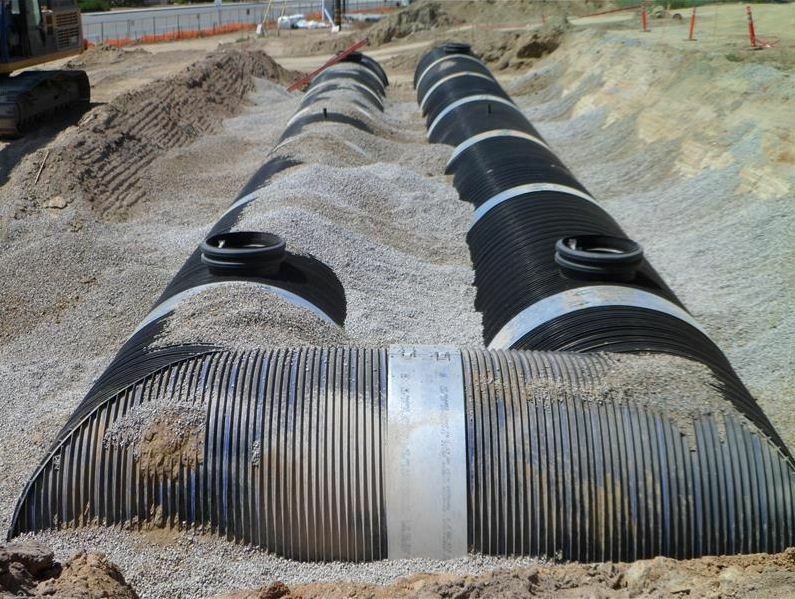 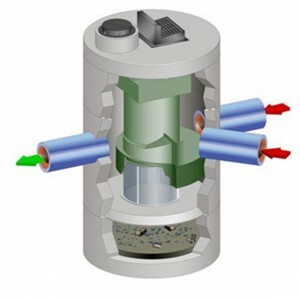 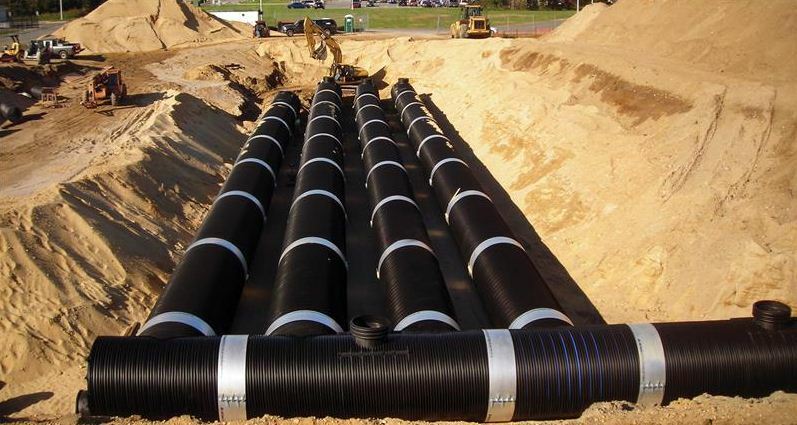 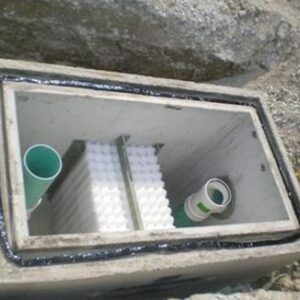 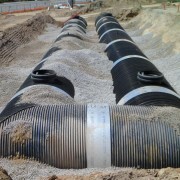 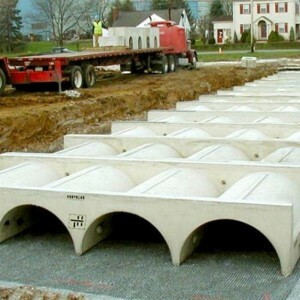 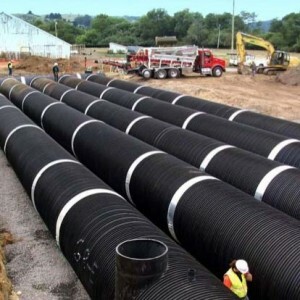 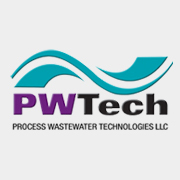 DuroMaxx is engineered for long life and can be used in applications such as stormwater detention, infiltration, rainwater harvesting, sanitary sewers, wastewater storage, or drainage. 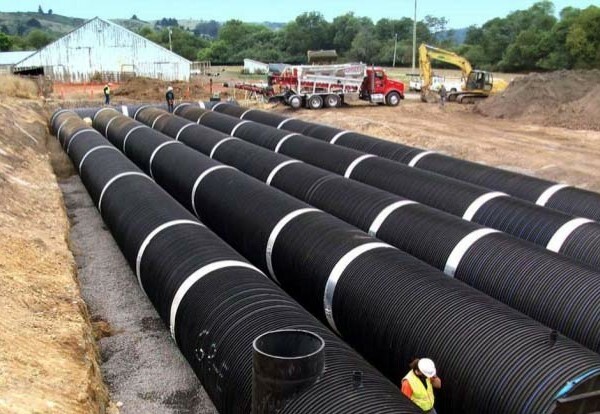 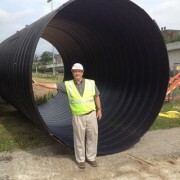 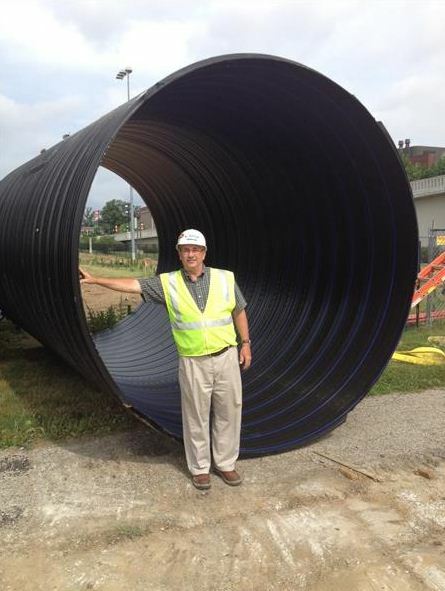 Will not creep over time and is twice as stiff as traditional HDPE pipe. 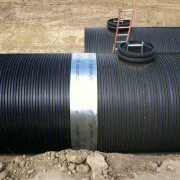 Can be used in applications with corrosive soils. 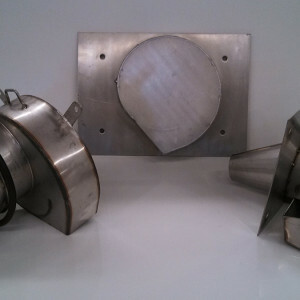 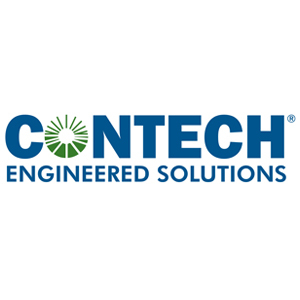 Joint tightness available for all applications – 30 psi welded coupler (WC), 15 psi high performance (HP), 3 psi low head (LH) and soil tight (ST) joints available. 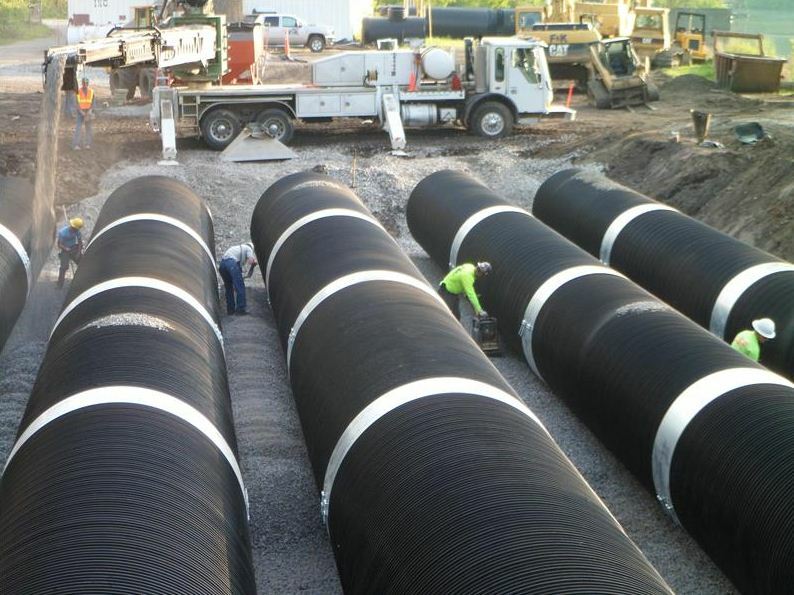 Available in diameters from 30 to 120 inches and manufactured in standard lengths of 14 or 24 feet. 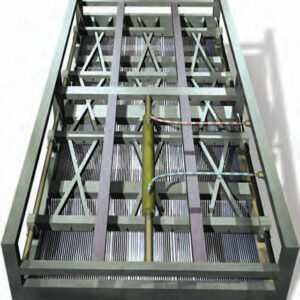 Fewer joints to assemble on site, resulting in faster installation rates. 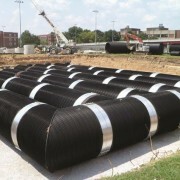 Lightweight – easily handled and quickly installed, often without the use heavy construction equipment.